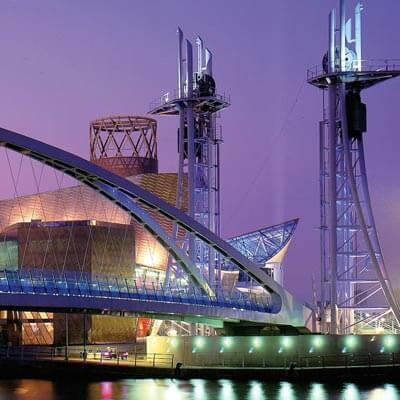 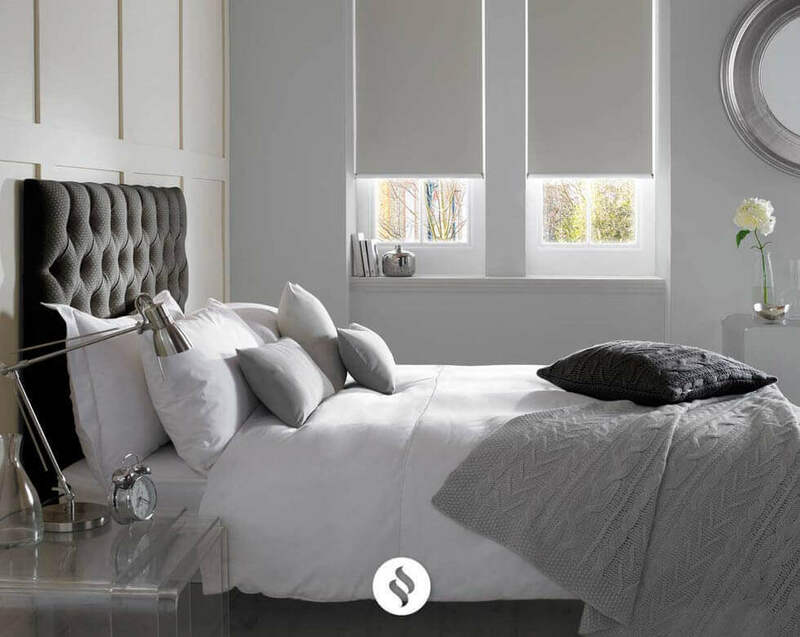 Hundreds of fabric choices from various UK / European designers, including palette colours, dim / blackout, flame retardant, wipe – down, Teflon coated etc. 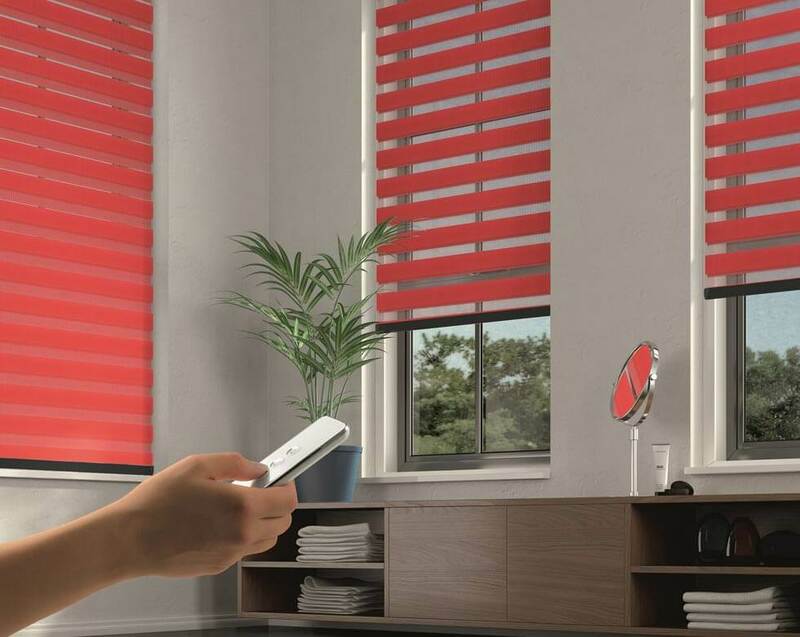 Wand operation, not just traditional draw – cord operation. 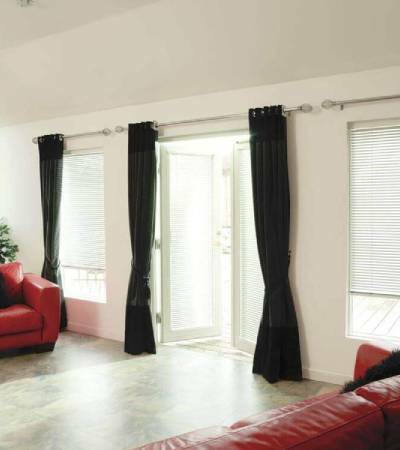 Chrome bottom link chains and tilt chain. 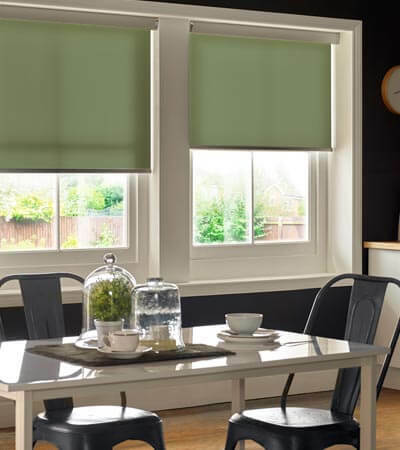 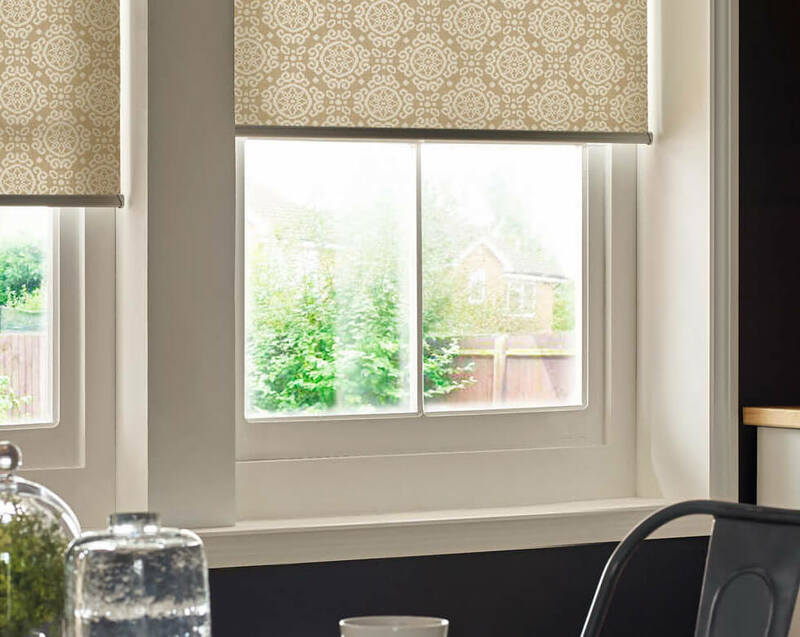 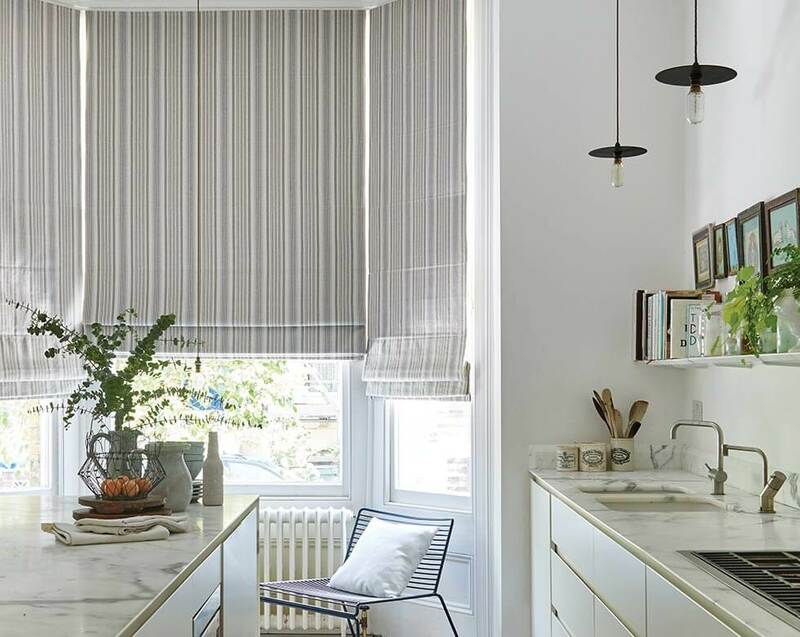 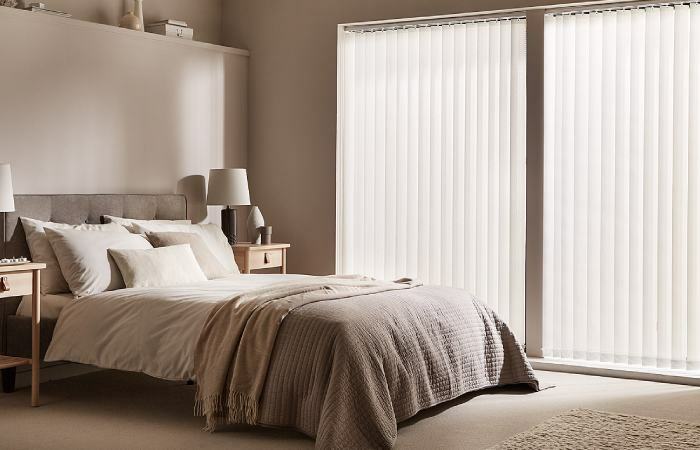 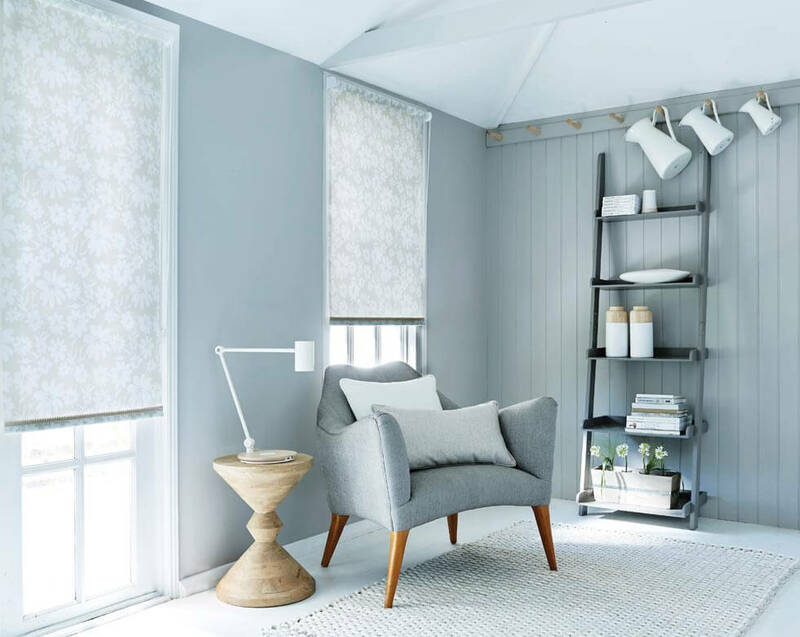 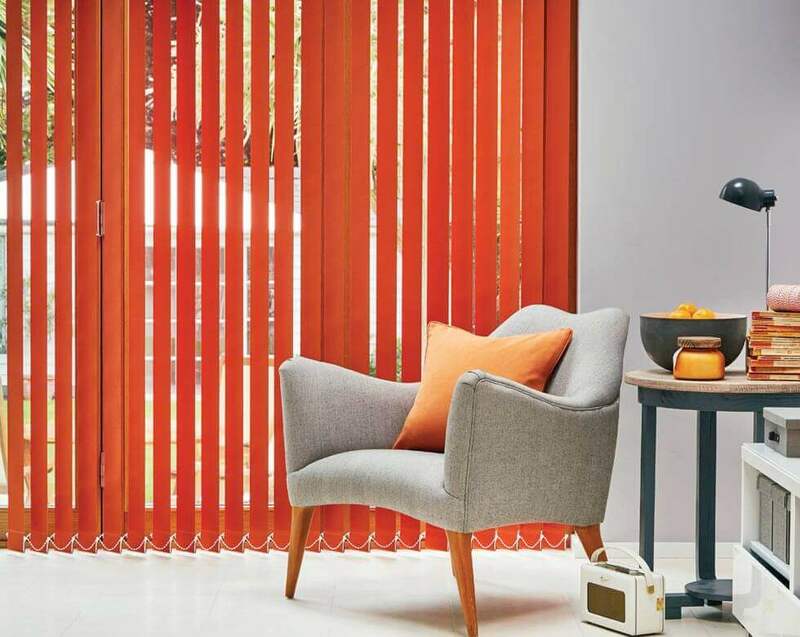 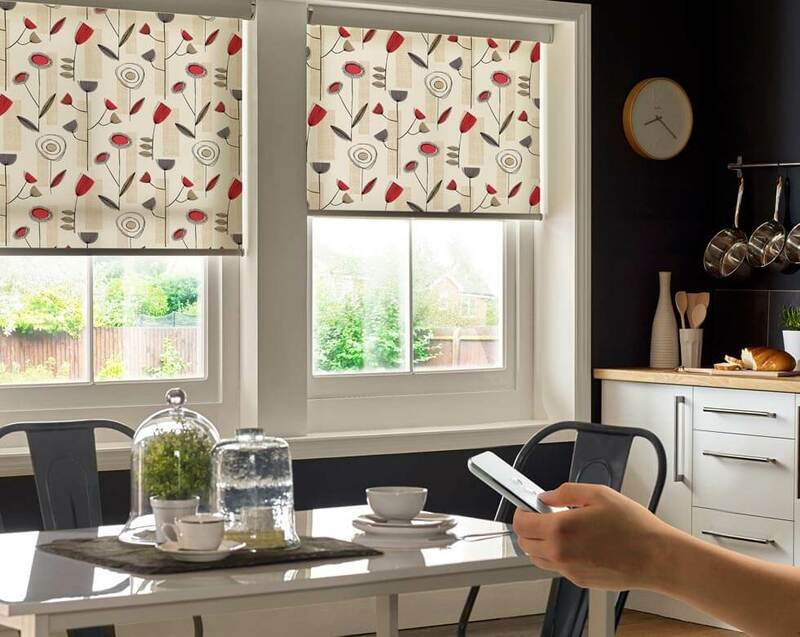 Our Vertical Blind collection empowers you to take trendy control of your security, view and the sunlight entering your home. 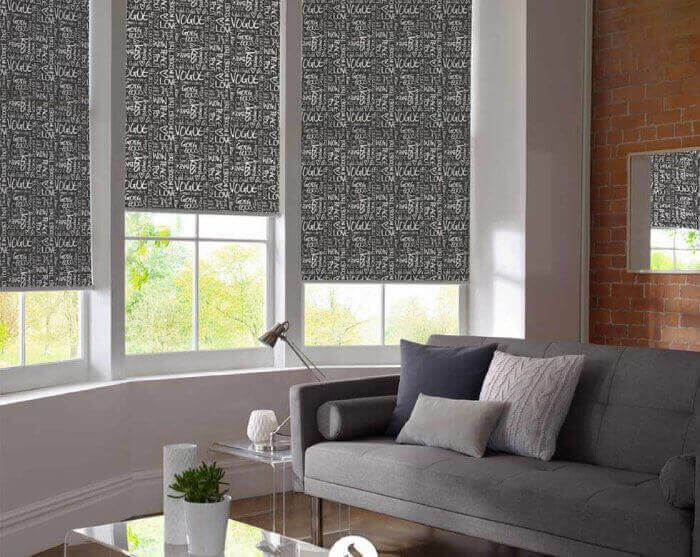 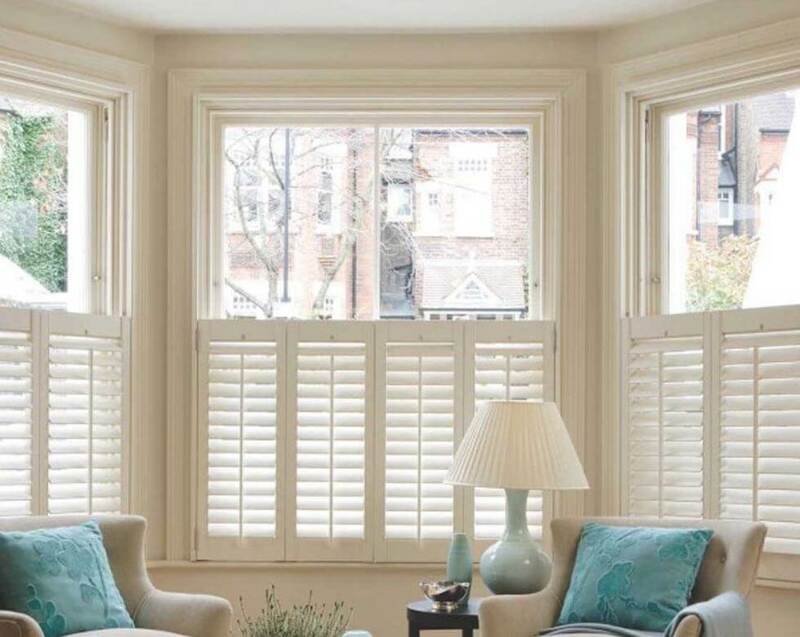 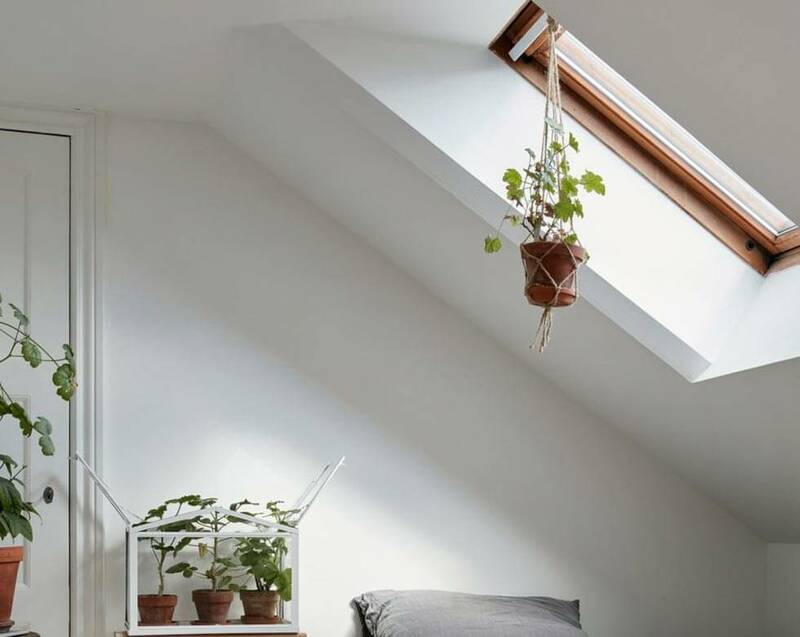 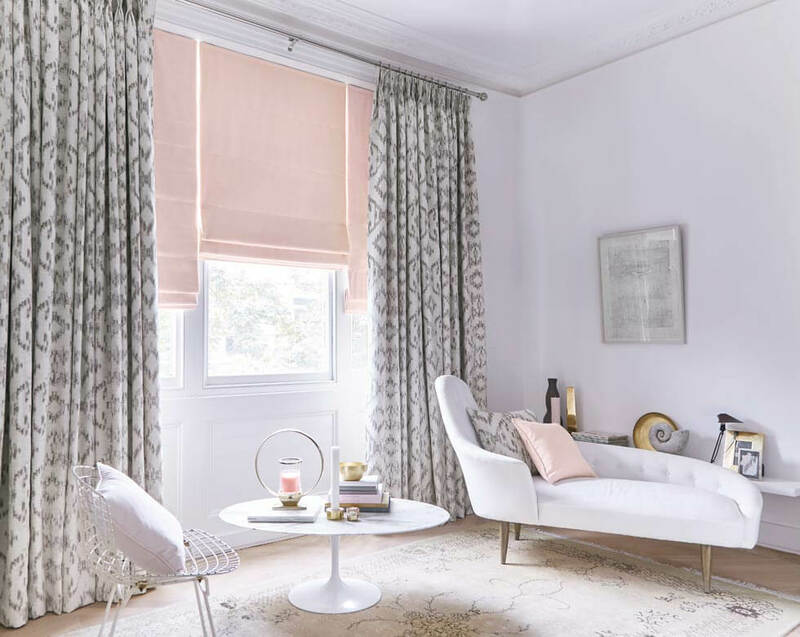 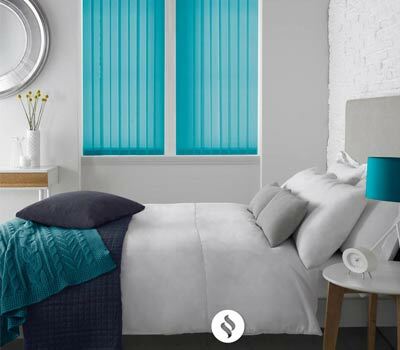 The choice of beautiful colours, beautiful patterns and designer fabrics is extensive to the point, that you can simply locate the ideal solution for your room and window. 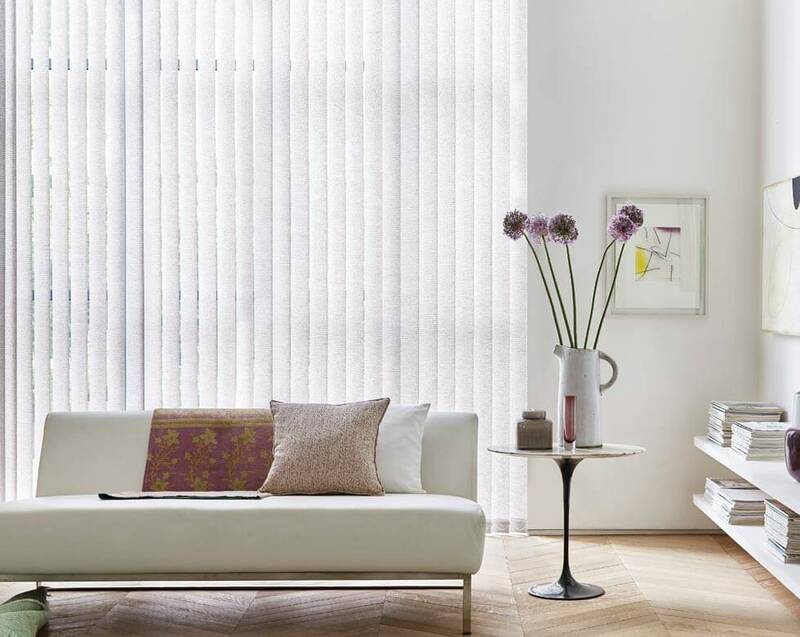 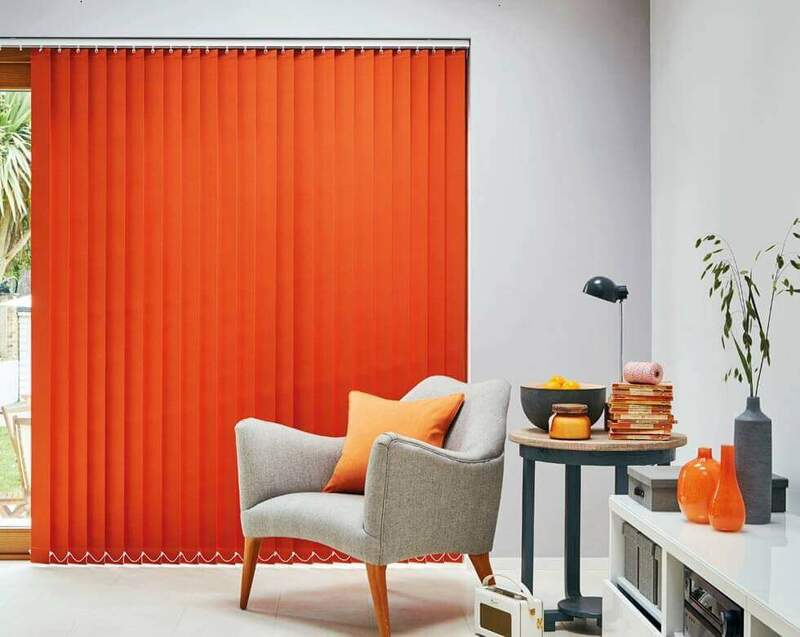 Our made to measure vertical blinds are specially mainstream in the home. 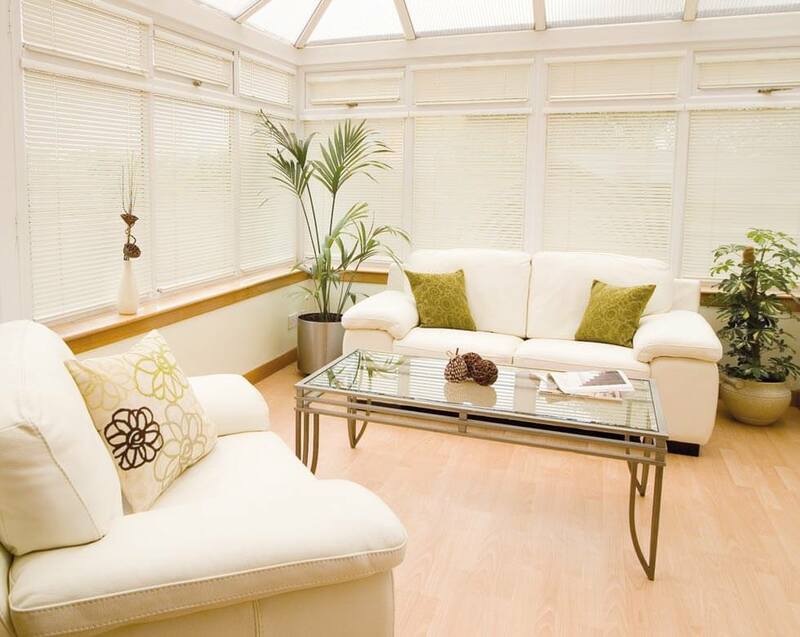 They offer style and common sense for everybody, a slight tilt on the controls, both security and light delightfully. 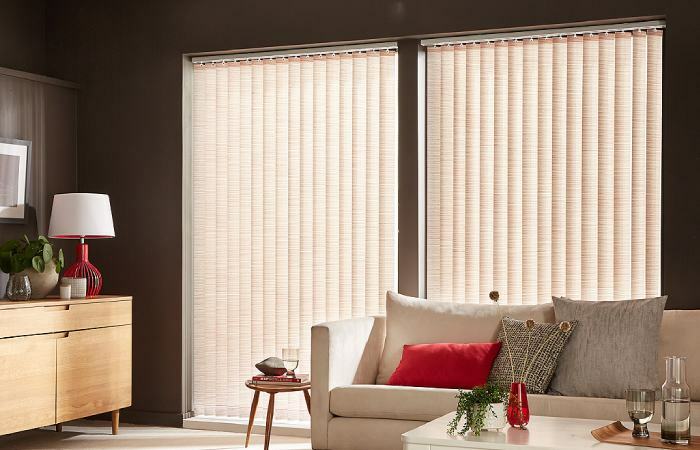 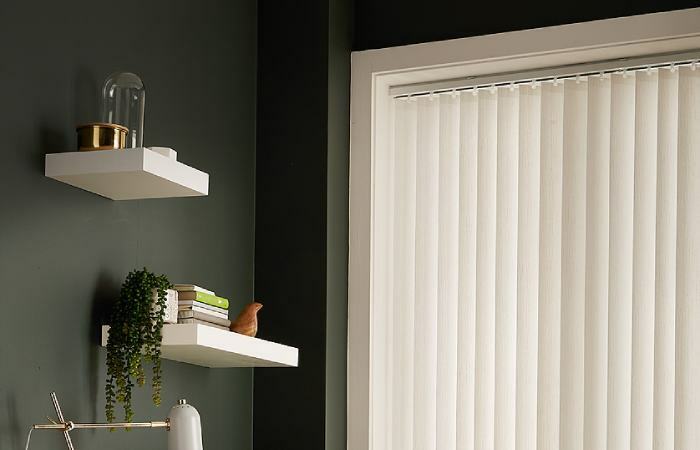 Blackout Vertical Blinds are perfect for extreme control on how much light you need to let into a room. 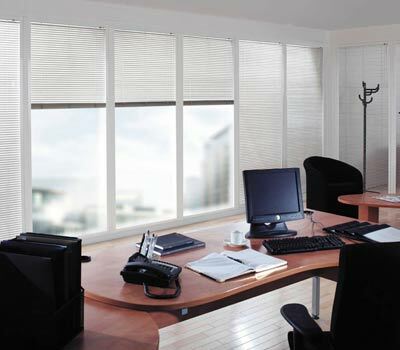 We can arrange custom blackout vertical blinds for you in any shading or style. 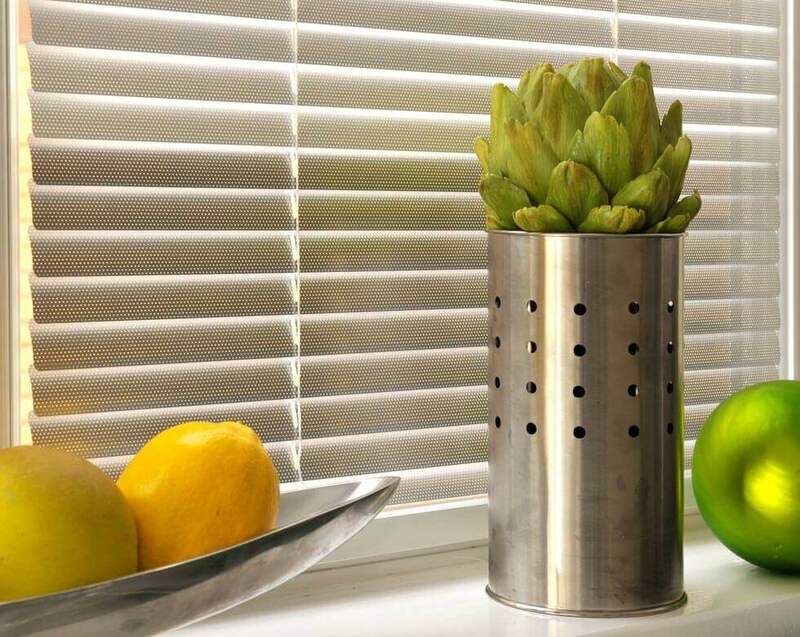 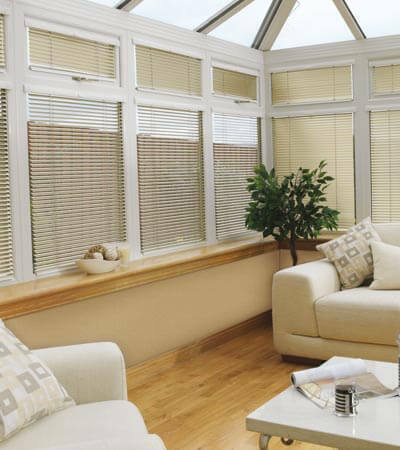 Thermal vertical blinds is an environment friendly window blind option. 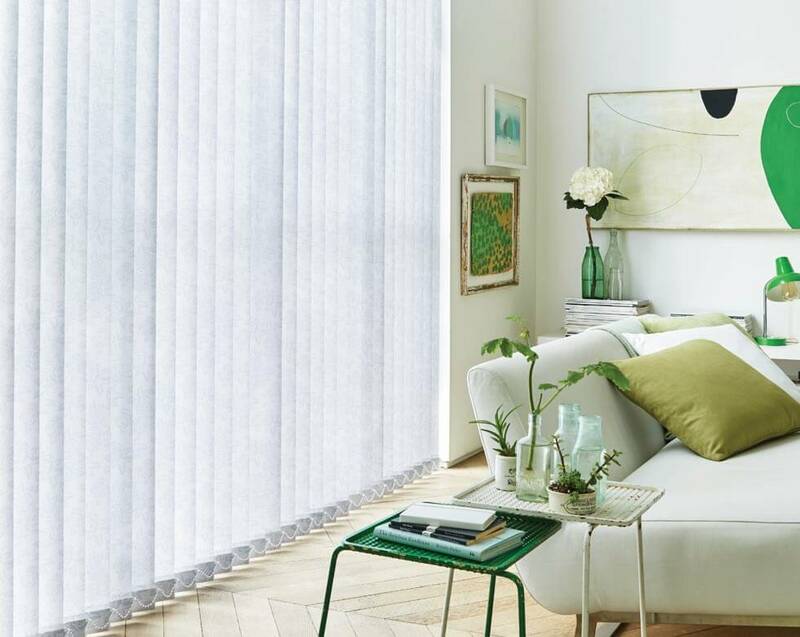 Thermal vertical blinds can be combined with blackout vertical blinds for creating the ultimate cosy and relaxing rooms. 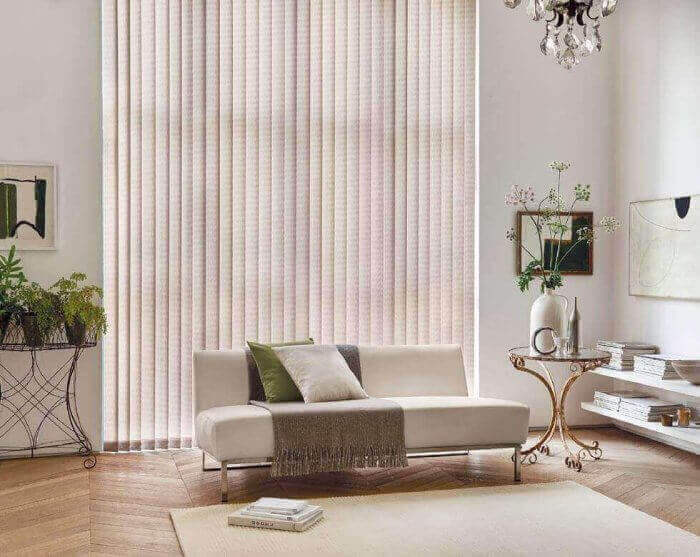 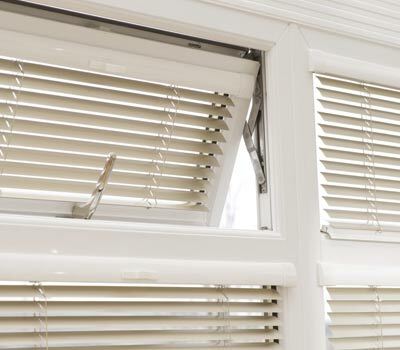 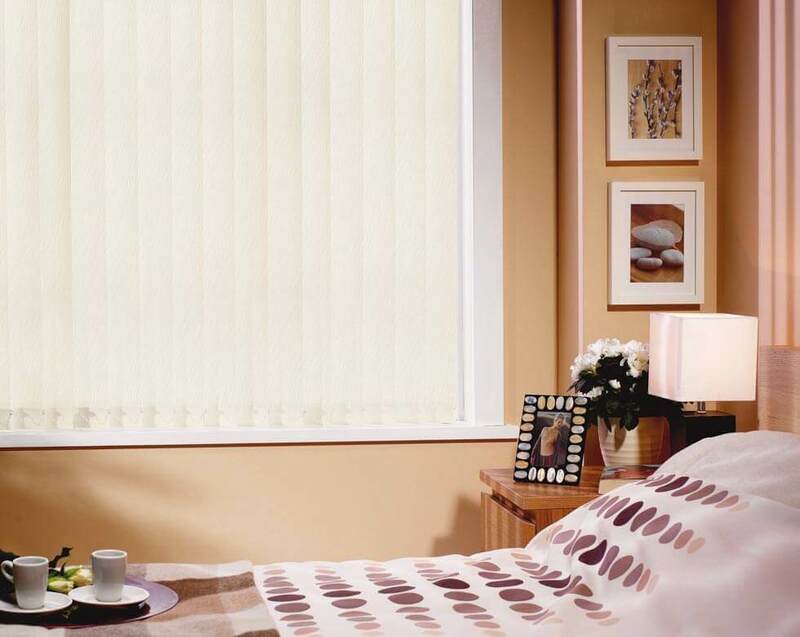 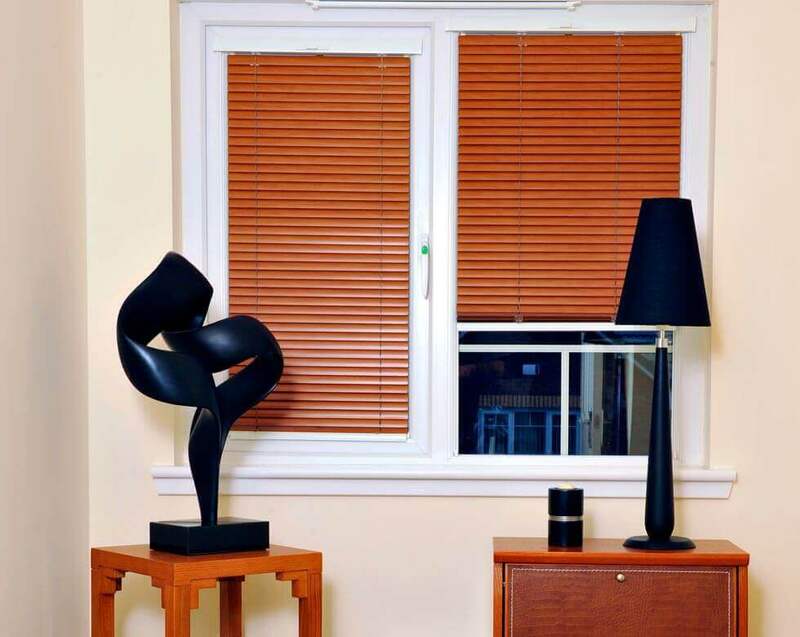 We provide the perfect vertical blinds for bay windows. 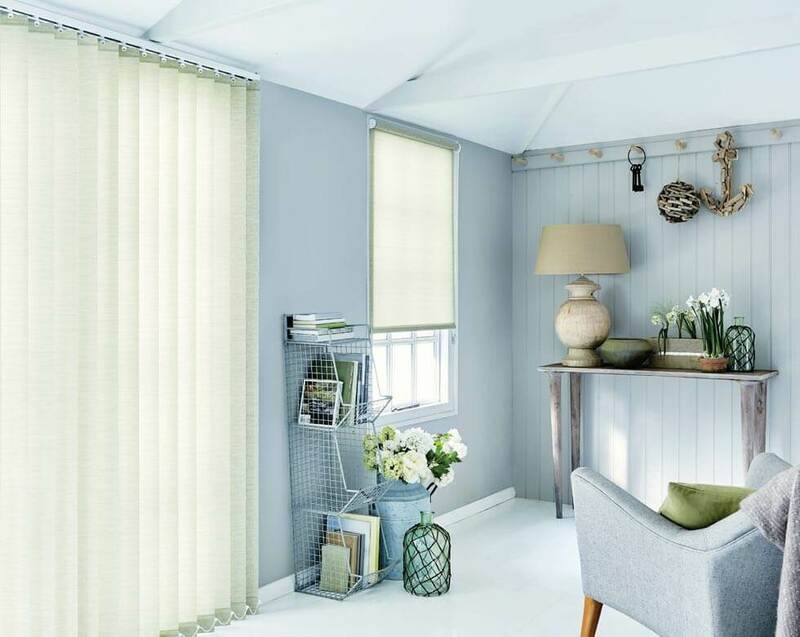 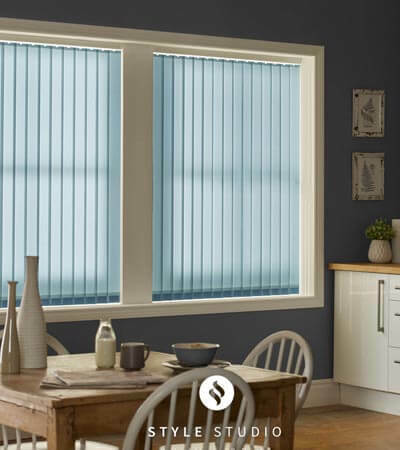 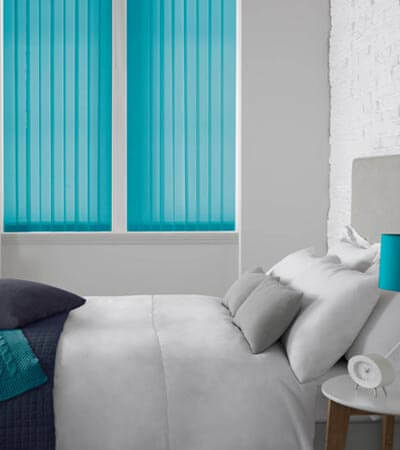 Our vertical blinds for bay windows can be ordered and fitted within 3 working days, in any colour or shade you want.